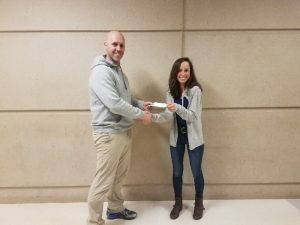 Northern Rehab recently awarded two deserving recipients their annual Rochelle Township High School Sports and Health Scholarship to Hannah Cruz and Alexander Harvey. Our Athletic Trainer Mark Lovell presents Hannah Cruz her scholarship check. Hannah Cruz, a recently graduated 2018 senior from Rochelle Township High School, is a National Honors Society member and High Honor Roll student. She was very active in Cross Country as a Sectionals Qualifier and Academic All-Conference Award winner in 2016 & 2017, as well as a member of Track & Field, Softball, and Cheerleading. She was also on the Math Team earning First Place at Conference (2015), 2nd Place in Regionals, and State qualifier in 2016. Additionally, she was Regional Champion for the WYSE Team in 2017 & 2018, involved in the Interact Club, Student Council, and volunteered countless hours at various events. Hannah will be attending Loyola University- Chicago studying Molecular Biology this fall. 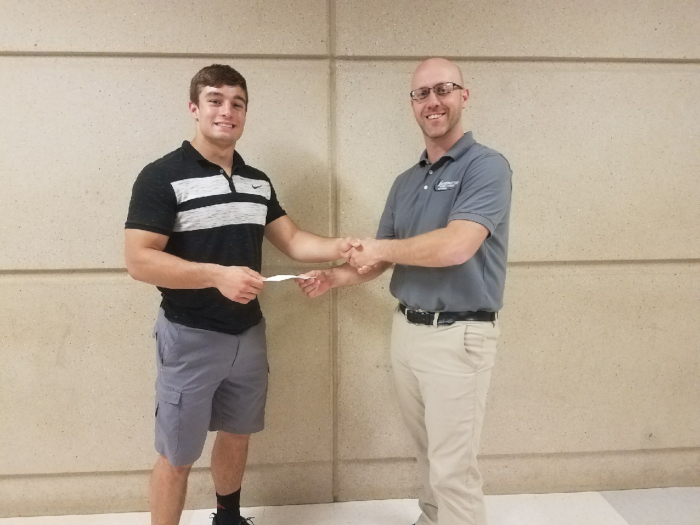 Alexander Harvey receiving his scholarship from Northern Rehab’s Athletic Trainer, Mark Lovell. Alexander Harvey, also a 2018 Rochelle Township High School graduate, is a National Honors Society member, AP Scholar, Ogle County Scholar, and Illinois State Scholar. Alex was a member of the Wrestling team, voted MVP, and served as a Captain all 4 years in high school. He also served as a Captain on the RTHS Football team and made the team quarter-finals in 2017, was an Academic All-State member for football in 2016 & 2017, and a member of the IHSA All-State Academic Team in 2018. Alex will be studying Biomedical Engineering at Washington University in St. Louis this fall. Both recipients were chosen for their outstanding achievements in athletics, academics, and choice to pursue a career in the healthcare/sports medicine field. 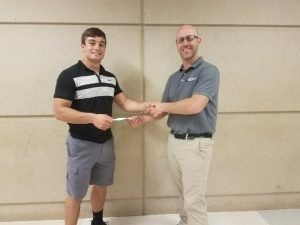 This is the second year Northern Rehab has sponsored a scholarship for Rochelle High School seniors and they will continue to support this annually. Northern Rehab is pleased to acknowledge the sportsmanship, athletic and academic excellence, and competitive spirit displayed by this year’s recipients, and they support our community in their sports and academic accomplishments and those promoting active and healthy lifestyles. Northern Rehab extends our congratulations to Hannah Cruz and Alexander Harvey!